Zero Waste Movie Night, 5:00 — 7:00 pm, West Tisbury. Read all about the West Tisbury School's second-annual Zero-Waste Night in the MV Times. Our apologies for the last-minute notice, but you don't want to miss this! Films begin at 5:45, with food available throughout. Saturday, Feb. 2, 10:00 am — noon, West Tisbury. Join Sheriff's Meadow staff for a strenuous hike across the rugged hills of their largest property. For more info and directions, call (508) 693-5207. Monday, Feb. 4, 5:00 pm, Oak Bluffs. After a contentious multi-year debate, the MVRHS school committee plans to vote this Monday on whether to move forward with construction of an artificial turf playing field. The meeting will be held in the conference room at the school library. 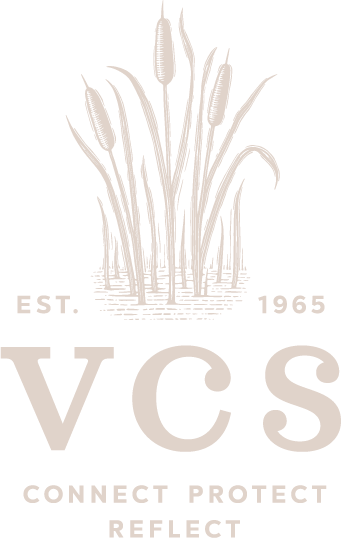 VCS has weighed in on multiple occasions throughout the process, and as the broad parameters of the debate remain unchanged, so has our position. Please see our most recent testimony to the school committee, or this brief summary from a previous Almanac. However, at this late stage, the greatest impact the public can have on the committee's decision is through attending in person and making its voice heard. Tuesday, Feb. 5, 3:30 — 4:40 pm, Chilmark. A group of 5th and 6th graders at the West Tisbury School is proposing a ban on single-use plastic bottles, to be voted on at this year's Town Meetings in Aquinnah, Chilmark, and West Tisbury. The students will host a Q&A session to discuss how their proposed bylaw would work, and the broader issues of plastic pollution on our Island and in the ocean. At the Chilmark Library, email Annemarie for more info. Sunday, Feb. 10, 2:00 pm, Edgartown. 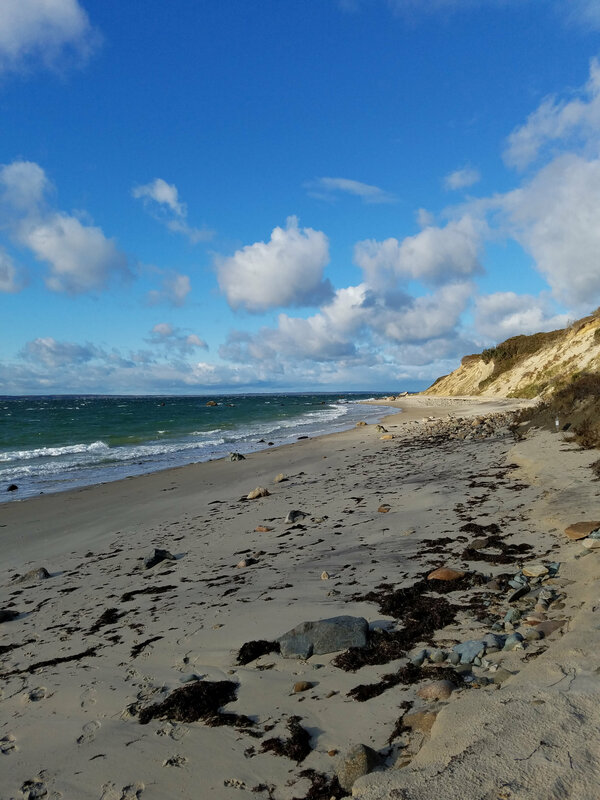 This winter and spring, Mass Audubon, the MV Regional High School, and the Charter School are getting together to host a series of "Climate Cafes" at various Island businesses. The idea is to provide a fun forum for coffee and conversation about climate change and climate-related issues. Next up on the agenda is Food Justice: in a world of great inequality, how will climate change impact the struggle of many to secure healthy food for themselves and their community? At Rosewater Market, South Summer St., Edgartown. For more info, contact Josie at Felix Neck. 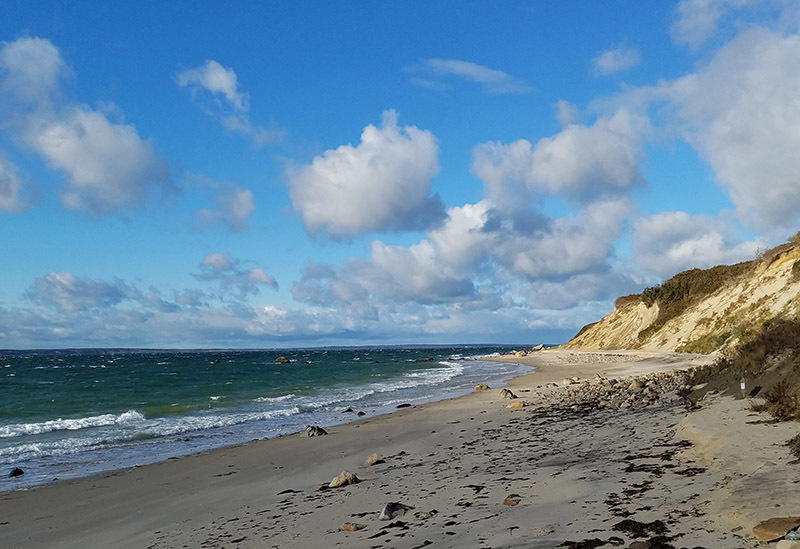 Please join us Sunday, Feb. 10 for an exploration of Spring Point, a hidden gem of pristine unspoiled beach on Chilmark's North Shore. We will walk along the cliff and then head back along the beach for a short clean-up. Gloves and bags for the clean-up will be available for anyone who needs them. The walk begins at 10 am and will last about 2 hours. Cookies and cider provided. Vehicle space is very limited: pre-registration required. Please contact our office via email or call (508) 693-9588 to register. Carpooling is highly recommended and please, no dogs. Directions: From the beginning of North Road in North Tisbury, proceed up-Island for 3 miles and take a right on Putnam Road. Follow the signs and flags all the way to the end of the road. Wagging the Dog: Should Online Reviews Dictate Multi-Million Dollar Infrastructure Projects? Thursday night many Islanders were surprised to learn that there is still one venue on Earth where complaining about airline service has an impact: the Martha's Vineyard Airport Commission. Last night, a public “consultation session” was held to discuss the state review process for several projects collectively called the Airport Improvements Plan at Martha’s Vineyard Airport. Outside, it was 19 degrees with a northwest wind at 15 knots. Inside the building, though, it was considerably more frosty. Therefore, some of the projects are only hypothetical, and “are not even close to being completed.” The concern of many, of course, is that by including these projects in the Master Plan or state permitting review process they become an inevitable reality – one that the community does not wish for, now or later. MVY acknowledged that the “bottlenecking” disrupting smooth operation and traffic flow is because of scheduling decisions made by the airlines. During the summer months, the large carriers have increasingly chosen to compress arrivals into a narrow time window, generally 11 am – 3 pm. The result is that it overwhelms the current passenger handling and traffic circulation systems at MVY. Those gathered asked . . . why? Couldn't the airport demand that the airlines spread out arrivals to prevent bottlenecking? MVY answered, “Unfortunately we can’t do this because this is a public use airport . . . We can’t say no and be a public airport (which receives funding from the FAA).” Making this whole conundrum particularly absurd is the fact that it is the airlines’ own scheduling decisions that have created the demand spike, which has in turn led to their poor online user reviews. With over half of its nearly 3,000-acre watershed area in permanent conservation, the Mill Brook has the potential to be a model specimen of freshwater ecology – pristine waters in a free-flowing stream, supporting all manner of wildlife. Yet today the Brook is anything but free-flowing, featuring a series of obstructions along the way – dams, culverts, and diversions – that impede the upstream movement of anadromous fish and reduce total water flow, allowing the buildup of nutrient pollution. The various impoundments – small artificial bodies of water – created by these obstructions also cause unnatural temperature spikes and gradients, a phenomenon we have previously described as a kind of thermal habitat fragmentation. 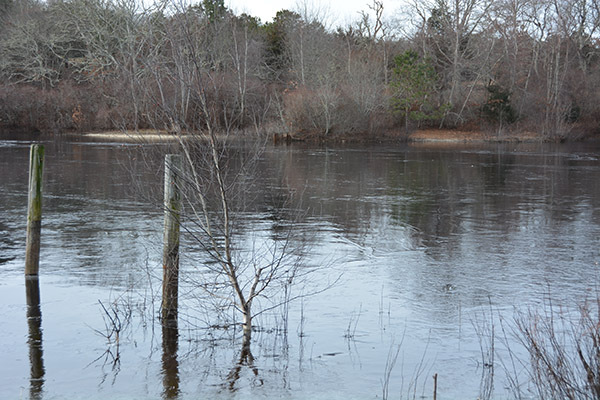 Last summer, the Mill Brook Watershed Management Planning Committee released the final report summarizing the results of their five-year study. In addition to providing copious data and background information, the report concludes (beginning on page 43) with recommendations for improving the ecological functioning of the Brook and its tributaries. If you missed the report in the bustle of the summer, this weekend would be a great time to check it out. Progress in addressing one of the report’s recommendations – improving undersized and perched culverts that (unintentionally) have created some smaller impoundments – may be around the corner. Sheriff’s Meadow Foundation has secured state funding to replace one such culvert at their Roth Woodlands property near the headwaters of the Mill Brook. We wish them success in the project and are looking forward to seeing the results! Copyright (C) 2019 *Vineyard Conservation Society* All rights reserved.